My sister is experiencing the same torture I am- and it is causing her health to deterirate. Her doctors have also told her that her parathyroid cancer was a result of her being exposed to high doses of radiation. And all of her children are ALSO experiencing the same health problems, strongly suggesting they ALL were exposed to high doses of radiation. When the Cuban and Chinese embassy workers got attacked- professionals believed they were attacked with sonic weapons- however they have now determined that they were attacked with microwave weapons. The loud electrical buzzing they heard was from these directed energy weapons. People who wish these weapons to remain secret claim what the sufferers are experiencing is tinnitus but tinnitus isn’t location related. As it is with my sister and myself- this attack is focused primarily in our house. If we leave our house- the symptoms disappear completely. Tinnitus doesn’t work that way. 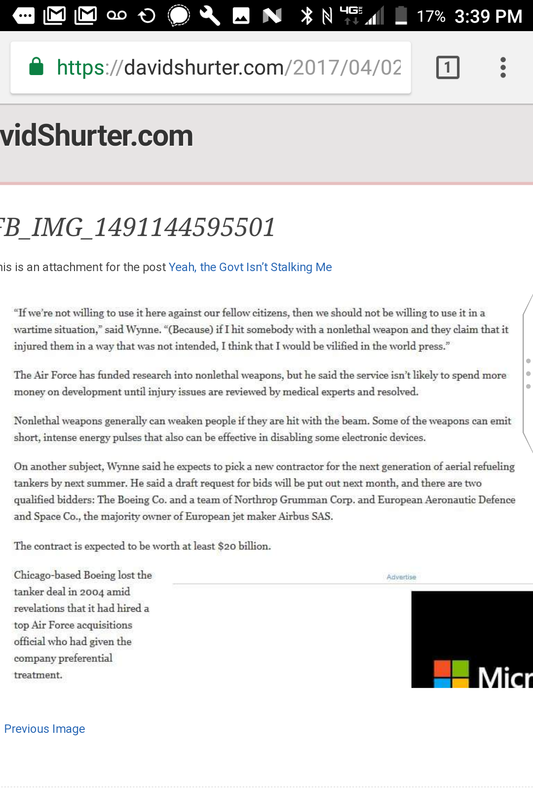 The US government admitted they had these weapons in 2006 to Congress and that they were going to use them on American citizens to show the rest of the world they were safe. 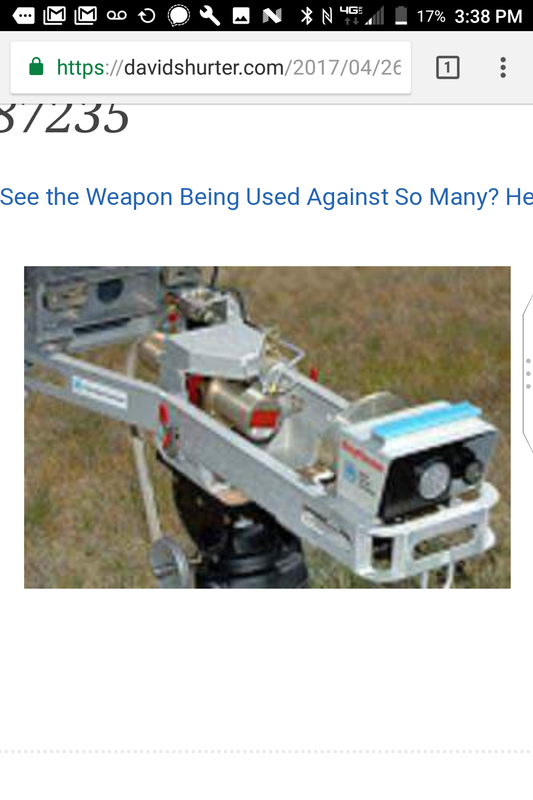 Considering it is almost 2019 and these weapons still remain a secret, (except in Maine, Michigan, and Massachusetts – where their are laws on the books forbidding their use on Americans), one must ask themselves how safe these weapons are. And the argument is usually “why would they choose you?” but both my sister and I have tried to expose our family for their involvement in child trafficking and a myriad of other crimes that implicate a group of very powerful and rich group of individuals other than our family members- including members of our current government. 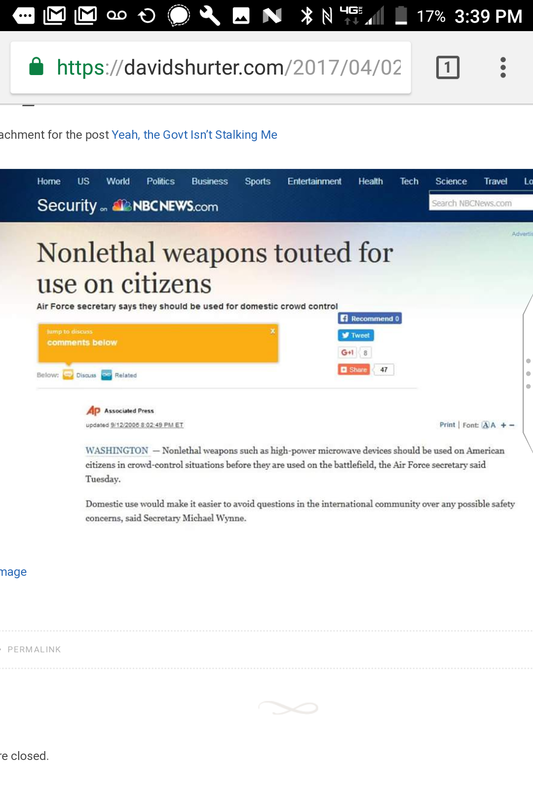 Besides- who do you think they were speaking about when our government said they were going to use these weapons on American citizens? Which Americans were they talking about? Not to mention attacking innocent Americans on American soil is against the law. I am reporting this not because I have any misconceptions that they will stop with my sister and I but rather as a warning to others. If they can do this to us- NO ONE is safe. Not you- not your children- not your grandchildren. And this practice is so wrong it defies words and needs to be stopped but it will take us all collectively to do so. They need to be stopped. Future generations of our children deserve this.